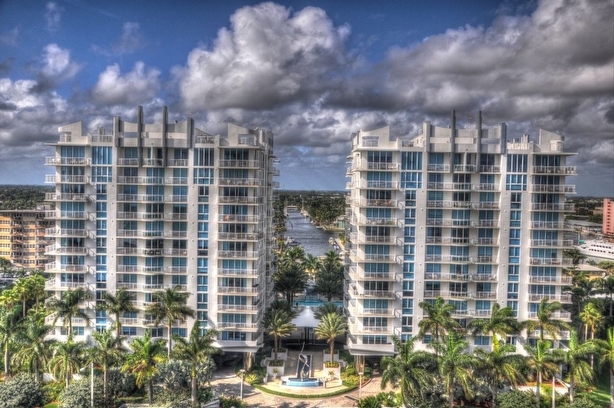 Hundreds of condominiums exist in Fort Lauderdale offering varying levels of amenities from the five star resort quality amenities to more simple valet and security. When you are buying a condominium, the amenities may factor heavily in your decision. Whether you are a first time home buyer seeking the convenience of a dry cleaner in the building or gym, or are purchasing a vacation home in which beach access and pool are paramount, Fort Lauderdale has buildings for every budget and amenity taste. Some of my featured buildings offer first class amenities including gym, sauna, dining, and security and in addition the amenities are updated frequently, which adds considerable value should you look to resell. Sapphire Condominium offers some of the best amenities on Fort Lauderdale Beach and is considered a resort style condominium offering 24 concierge, business center, steam and sauna rooms, state of the art fitness, 25 meters of resort style infinity pool, and private cabanas and is on the beach. The Corinthian is another property offering resort style amenities including 24 hour security, heated freshwater rooftop pool, and three room fitness center. The Corinthian is a short walk from the ocean and is located directly on the Intracoastal Waterway, also making its’ location desirable. If you are looking to list or buy a property with resort style amenities in the Sapphire or The Corinthian, please contact me today!